Recently the Chinese government hosted a commemorative seminar to mark the 10th anniversary of the start of the Six-Party Talks and the eighth anniversary of the Six-Party Joint Statement. The Six-Party Talks, involving China, the US, North Korea, South Korea, Japan and Russia, are aimed at ending North Korea's nuclear program through a negotiation process. Several rounds of negotiations eventually led to a September 2005 agreement in which the North agreed to abandon its pursuit of nuclear weapons. However, the talks have been in a deadlock since 2009, in light of Pyongyang's repeated nuclear tests and open rejection of its Joint Statement commitment to give up nuclear weapons. So far, the Six-Party Talks have failed to denuclearize North Korea. Nonetheless, a multilateral approach can still be a favorable option to deal with the nuclear issue. 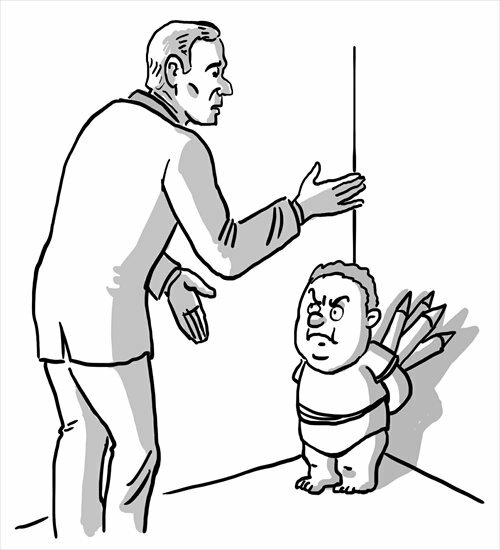 Given the North's nuclear and missile tests and bellicose rhetoric in the past few months, new wisdom is needed if the talks are to resume. At the recent commemorative seminar, North Korea's Vice Foreign Minister Kim Kye-Gwan called for resuming the multilateral talks "without preconditions." Notably, however, he did not say anything about Pyongyang's intention to give up nuclear weapons or the denuclearization of the Korean Peninsula, which are key concerns of the other members of the Six-Party Talks. Actually, the idea of "no preconditions" set by North Korea is the "biggest possible condition" for the others, and the talks that it wants to resume don't have the same nature as the past. In the past, the North considered the possibility of giving up nuclear weapons in exchange for assistance. But now, it wants to turn back to the negotiation table as a nuclear state and act as a supervisor of other nuclear states, implying that if it were to give up nuclear weapons, it would want others to do the same first. Kim's expressions only reinforce Pyongyang's intention to act arbitrarily and echo the words of Choe Ryong-hae, the special envoy of Kim Jong-un who visited Beijing in May. It shows that North Korea's nuclear policy has not changed. However, the other parties have different preferred instruments for addressing a nuclear North Korea and restarting the negotiations. The preconditions of the Six-Party Talks set by the US, South Korea and Japan are that the North should accept the Joint Statement it agreed upon before and stick to the original agenda of the talks. Therefore, it is clear that the key to whether the Six-Party Talks can be resumed is the divergence between North Korea and the other members over the principles of this multilateral mechanism. Now, each party should try every possible means to show Pyongyang their firm determination to realize the denuclearization of the Korean Peninsula. They should also break the North's illusion that one day they will admit its status as a nuclear state. Some experts suggest that in order to make the Six-Party Talks play a more effective role, more topics can be added to its agenda so as to create mechanisms to maintain peace and stability of Northeast Asia. But the premise of any mechanism is that North Korea gives up its nuclear weapons. In international relations, negotiations work only when all sides have the same goal or one side is ready to take tough actions against the other if negotiations fail. The Six-Party Talks should stick to this principle if they are to resume.